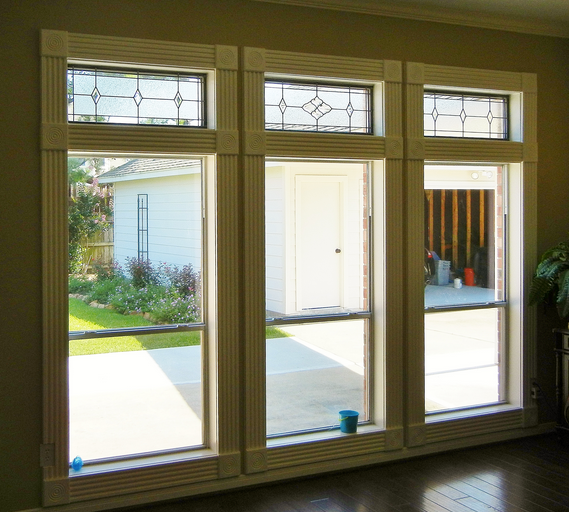 Transoms are generally smaller windows located above the main windows which offer a great source of light especially if the main windows below are covered by blinds or shutters to give the homeowners privacy. 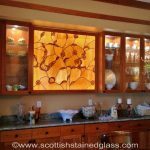 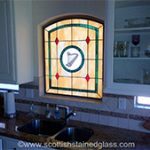 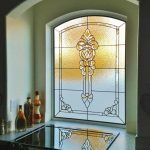 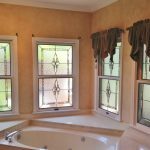 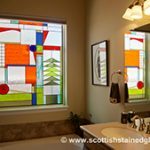 A stained glass transom provides artistic flair in an otherwise ordinary space and the variety of custom stained glass transom window patterns range from simple to elegant. 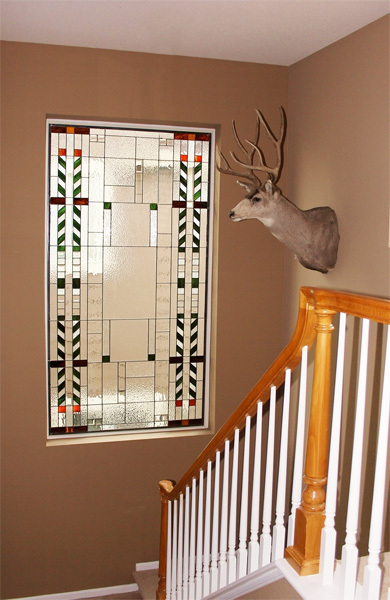 We can also customize a stained glass window for a transom design using your individual vision. 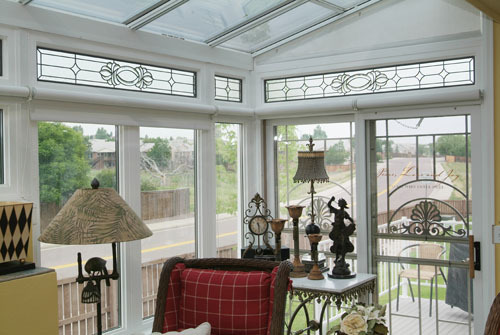 Clear story windows are usually located in rooms with high ceilings and the windows are in the top half of the room. 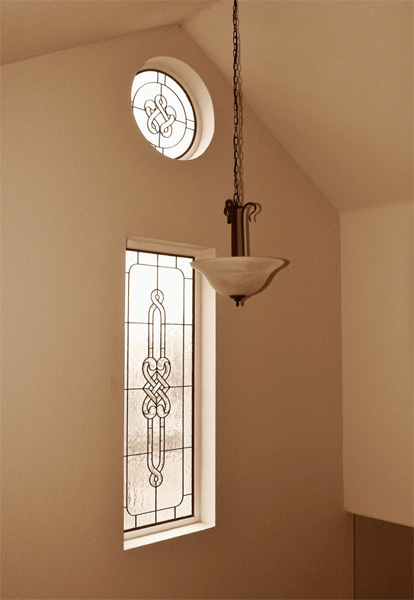 They provide light but unless the room has a great view, there’s not much interest from a design point of view. 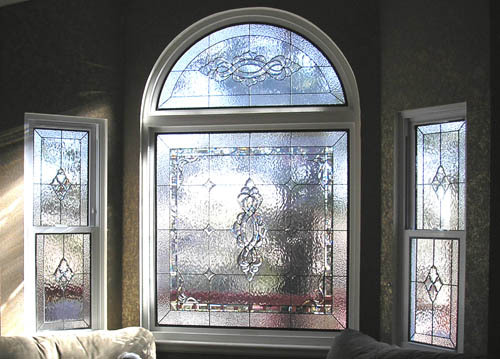 Our designers can create a window that not only lets the natural light in, but is also a beautiful work of glass art for your home. 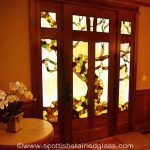 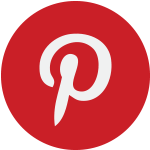 Leaded & stained glass panels are great for both of these applications. 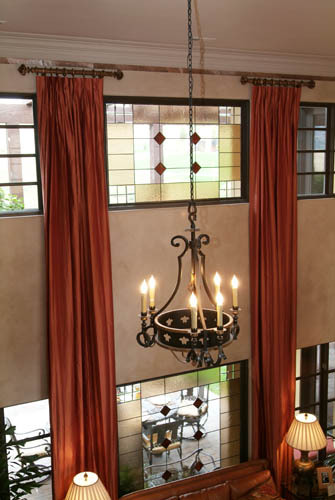 It provides a design element which adds interest to these otherwise bland areas. 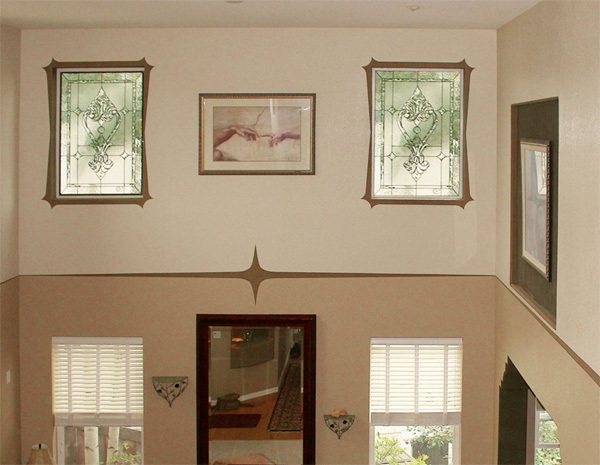 As you enter the room your eyes are immediately drawn to the design of the whole room and not just the lower half. 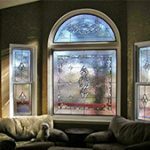 In cases where there may be other homes nearby, the use of stained glass window designs in transoms will provide both beauty and privacy from your neighbors. 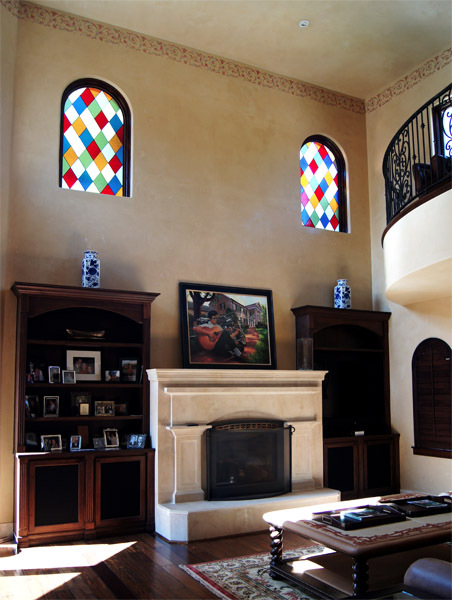 Since each of our pieces are one of a kind, we can tweak designs until we come up with something you absolutely love. 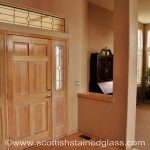 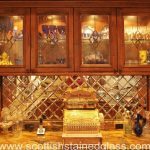 Whether you love more traditional designs like Art Nouveau or Mackintosh, or if you prefer more clean, straight lines, like Prairie Style, we can accommodate your style. 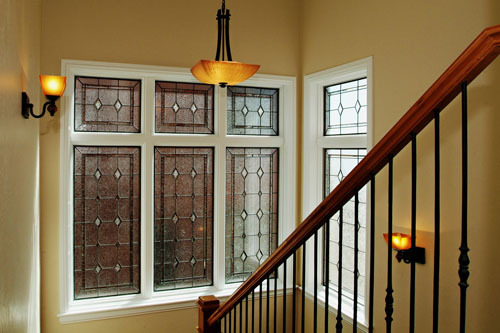 Transom windows are often very large, so you want to have a design you completely love. 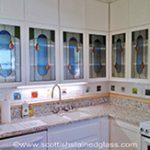 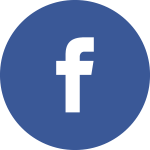 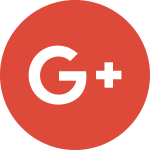 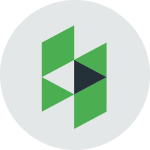 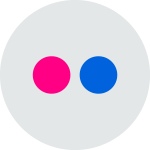 Our design team is experienced in 100 percent customer satisfaction, so you can feel comfortable working with someone who puts your wants first. 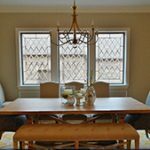 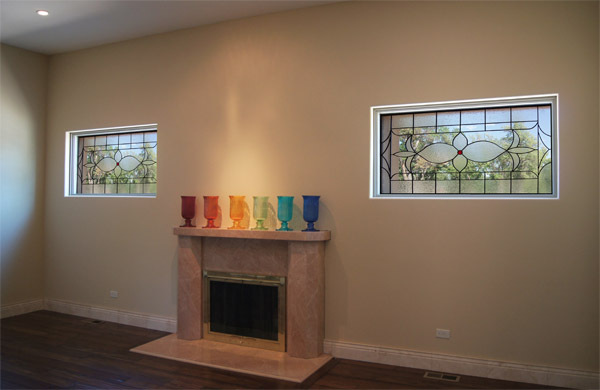 If you have rooms with transoms or clear story windows and would like to add a touch of elegance to an otherwise undecorated area, we urge you to consider adding leaded or stained glass transom designs and see for yourself how the very mood of the room can change.